5 January 2015 marked the Opening of the Legal Year 2015. From the speeches made by the Attorney-General, the President of the Law Society, and the Chief Justice, the 50th year of Singapore’s independence is going to be a glorious year of pushing boundaries. In his speech, Chief Justice Sundaresh Menon outlined numerous events and developments that Singapore’s legal community can look forward to. Indeed, several events will be of great interest to the international legal community. In a nutshell, the theme for 2015 is about strengthening the administration of justice in two dimensions. The internationalist dimension is to consolidate Singapore’s position as the regional and international dispute resolution hub for commercial matters through, in particular, the establishment of the Singapore International Commercial Court (“SICC”), which was also launched at the Opening of Legal Year 2015. Another project in the pipeline is the setting up of a research institute that focuses on Asian business law, which is undoubtedly in the hope of bridging gaps between the diverse legal systems within Asia. The second dimension is a domestic one: to enhance the access of justice and the fair administration of justice in recognition that the core mission of the legal system is to serve the people. The concerted efforts on this front include instituting reforms to court practice and procedure for swifter dispute resolution, making available legal aid even at an earlier stage, and establishing a sentencing information repository and sentencing guidelines, etc. Apart from these proposed changes, this entry highlights specifically three legal developments in Singapore following the Opening of the Legal Year 2015: the appointment of Senior Judges, the appointment of International Judges to the SICC (and indeed the establishment of the SICC itself), and the establishment of the Singapore Judicial College (“SJC”). This legal year will see the inaugural appointment of five Senior Judges to the Supreme Court pursuant to the newly amended Article 95 of the Constitution of the Republic of Singapore. The objectives of the newly created office are twofold: (1) to ease the hearing load of the Supreme Court; and (2) to allow the Supreme Court to tap into the specialist legal expertise of retired judges, not only in their judicial experience, but also their anticipated mentoring of new judges. These five Senior Judges are former Chief Justice Mr Chan Sek Keong and former High Court Judges Mr Kan Ting Chiu, Mr Andrew Ang, Mr Tan Lee Meng, Ms Lai Siu Chiu. They are each appointed to a term of three years commencing from 5 January 2015, and will hear and determine cases that the Chief Justice may specify from time to time. In light of the small pool of local judges, the office of Senior Judges is a thoughtful creation that is crucial to the passing on of valuable judicial experience and knowledge through formal and systemic structures. Indeed, this is also practised in England, where retired Lord Justices and even retired Law Lords (as they were then known) occasionally sit together with permanent judges. Other important appointments include two new Judicial Commissioners, Chua Lee Ming and Foo Chee Hock, as well as the Supreme Court’s new Registrar, Vincent Hoong Seng Lei. The SICC was first announced in the Opening of Legal 2013 (discussed in a previous blog entry). 2014 saw the passing of legislative amendments to support the establishment of the SICC. In just two short years, the SICC is finally launched in 2015. Established as a division of the Singapore High Court, the objective of the SICC is ambitious and visionary: to determine cross-border commercial disputes that may be governed by foreign law, including disputes that may not otherwise be heard by the Singapore Courts. Building on the success and strengths of the Singapore International Arbitration Centre and the Singapore International Mediation Centre (discussed in a previous blog entry), the SICC is part of the national strategy to foster Singapore as the Asian hub for dispute resolution. Indeed, special provision has been made under s 18F of the Supreme Court Judicature Act (Cap 332, 2007 Rev Ed) on the effect of a jurisdiction agreement in favour of the SICC. A dispute before the SICC may be presided by a single judge or a three-member panel. Importantly, the appointment of the International Judges not only affords judicial expertise in international commercial law but also caters for foreign law expertise in cases governed by foreign law. For example, a case governed by Japanese law could be heard by an International Judge well versed in Japanese law. 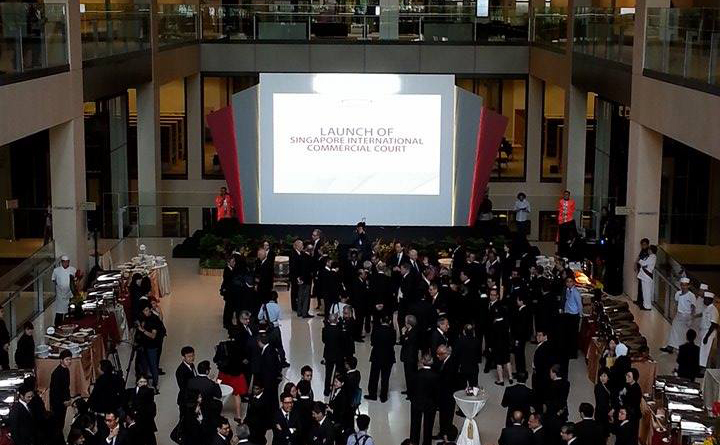 Before the launch of the SICC, an international commercial dispute can be determined by the Singapore High Court, even if the matter was governed by foreign law. Foreign law is pleaded as facts, usually by way of expert evidence and applied by the presiding judge (trained in Singapore law) to the dispute at hand. Excellence of the judiciary and judicial process aside, there is always a risk of too much being lost in translation (See A Briggs, “A Map or a Maze: Jurisdiction and Choice of Law in the Court of Appeal” (2007) 11 SYBIL 123 at 125). The availability of International Judges to hear cases governed by foreign law in the SICC is thus a welcome addition. Indeed, the SICC is not the first court to boast an internationally renowned panel. For instance, the Hong Kong Court of Final Appeal (“HKCFA”) bench draws from a panel of 12 non-permanent judges from other common law jurisdictions. But unlike the SICC, the HKCFA is an appellate court of unlimited jurisdiction and hears both civil as well as criminal appeals across a spectrum of subjects, not just commercial cases (see here). More similar to the SICC is the Dubai International Financial Centre Courts (“DFIC Courts”). The DFIC Courts are an independent English language, common law judicial system set up originally to hear commercial and civil disputes relating to the Dubai International Financial Centre only, but later expanded its jurisdiction to hear local or international civil and commercial cases with the consent of the parties. Its bench comprises six international judges (from UK, Malaysia, Australia) and two UAE resident judges, and is led by Chief Justice Michael Hwang SC, a leading practitioner from Singapore. Finally, and equally significant is the establishment of the SJC. Registrar Foo Chee Hock (subsequently Judicial Commissioner) has been appointed as the Dean of the College, and assisted by District Judge Tan Boon Heng as Executive Director, and who will be in charge of the day-to-day operations of the College. Decisions of the College will be guided primarily by the Board of Governors, which is led by Judge of Appeal Justice Andrew Phang as Chairman and Justice Quentin Loh as Deputy Chairman. Established under the auspices of the Supreme Court of Singapore, the College is an entity dedicated to judicial education and research. The College consists of a Local wing, an International wing and an empirical judicial research laboratory. The Local wing oversees the needs of the Singapore judiciary, and focuses on the training and development of Judges and Judicial Officers in an institutionalised and centralised manner. The aim is to enhance the competence and professionalism of the judiciary in response to the increasing expectation of the court users and the growing number of complex legal issues encountered by the courts. The Local wing is complemented by the empirical judicial research laboratory, which seeks to research and test innovation in judicial studies and practices. Presently, the respective faculties of National University of Singapore, Faculty of Law as well as Singapore Management University, School of Law have been invited to submit proposals on relevant research projects. The International wing, on the other hand, will build on the reputation of Singapore’s well-developed legal system, as well as efforts of the Local wing and research laboratory, in offering Singapore as a forum of judicial training and to export judicial education. (see Strategy of the Judicial College 2011-2014, available here). The training of judges is conducted by seminars around the country. Different curricula are designed with different groups of judges in mind. The UK Judicial College has been a success thus far, and has received many invitations to conduct training overseas. The National Judicial College of Australia, which serves the same educative purpose, offers particularly interesting curriculums such as the “Online Decision Making Program” and “Writing Better Judgment Program”, which seek to aid judges’ decision-making process and improve method of judgment-delivery. Both the UK and Australian counterparts are good models from which the College may extract ideas in implementing its own goals. In the end, the 50th year of Singapore’s national independence also marks a significant milestone in its legal system. From being almost completely reliant on foreign cases, the Singapore legal system is now not only ready to chart its own course, but is also embarking of a course that will extend its influence well beyond its shores for the next 50 years.